Comfort is an overused word when it comes to cycling kit. That's because we cyclists crave every bit of padding we can get as the miles add up but it's after hours in the saddle that you'll be glad you invested in comfortable bib shorts with the multi-density ProGel™ 3D pad. These are Altura's most popular Darkproof® bib shorts. The Altura 3D patterning is engineered for a more comfortable riding position. 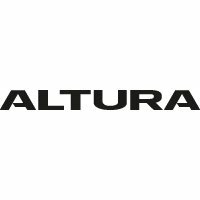 Altura Dry™ technology acts to move excess moisture away from the skin, avoiding excess moisture build-up. Above the waist, body mapping mesh zones enhance breathability on your upper body. Other features include the Altura Darkproof® technology which offers superior retroreflectivity. NV360° performance offers 360 degree reflectivity for maximum dark light visibility.